Finding the right camera can be a hassle. There are size issues, weight issues, battery issues and, of course, the price. Add on the need for a waterproof body, super-fast shutter as well as low-light capability and the waters become even more murky. As a professional photographer, I've learned that the best camera truly is the one you have when you need it, so here are four camers that routinely get used around the office. They range from just-sold-my-first-born to a few hundred bucks and when used properly can turn any trip into a lifetime of memories. Advanced amateur or professional with a few thousand dollars to burn looking to capture the highest-quality image and video content. 22 megapixel full-size sensor, enhanced video capability and improved low-light capability. 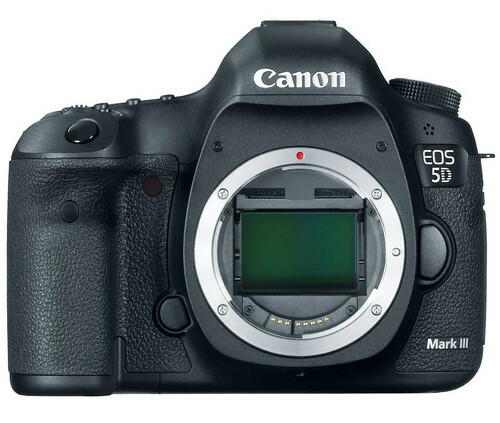 Canon's professional and amateur workhorse, the new 5D Mark III is ideal for landscape and lifestyle photographers and videographers with a solid understanding of manual cameras and interchangeable lenses. A bit heavier than we'd like when mountain biking and backpacking, the rugged body does well with mountain environments and light precipitation. Our two favorite lenses are Canon's 16-35 F2.8/L and 70-200 IS F2.8/L, which aren't light either, but sure do take amazing pictures.Whatever you do—don't skimp on the polarized lenses. You'll want them when taking that perfect shot of a high alpine lake. Adventurous families who want a camera that won't break if it falls out of a raft, onto a sharp rock or from a hotel balcony. Waterproof up to 33 feet, shockproof enough to withstand nearly a seven foot drop and freezeproof to 14 degrees. Can also withstand 220 pounds of pressure. Small enough to fit into your pocket, this point and shoot is perfect for family vacations and summertime activities where water, dirt and sand are present. The 16 megapixel image quality is sharp enough to capture busy landscapes while the wide-angle optical zoom means you can capture an expansive view while getting a closeup of the marmot eating your lunch a few seconds later. The three-inch LCD screen is a nice touch in bright sunlight, but make sure to buy a protective cover for it. The camera might be safe when dropped but LCD screens are usually fragile. 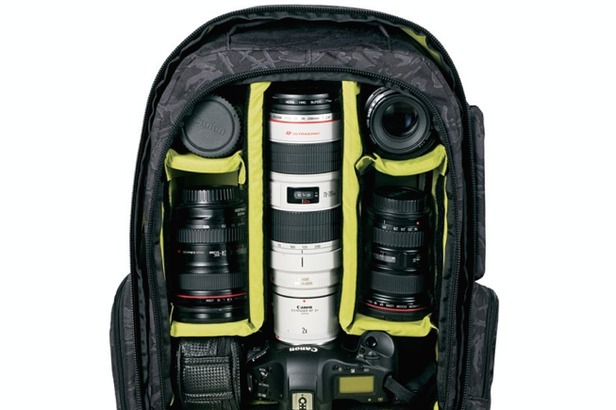 The adventure junkie or budding filmmaker without a huge budget. New 12 megapixel camera with 30 frames per second (fps) burst mode. Video mode includes 4K resolution (12 fps), 1080p at 60 fps for HD slow motion and 720p at 120 fps for super slow motion. 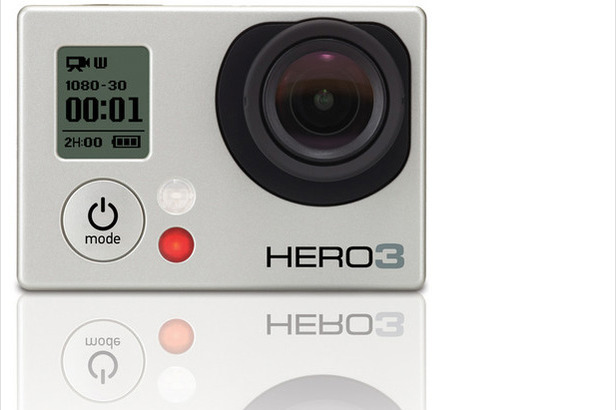 The gold standard of helmet cams, GoPro's Hero3 does not disappoint. 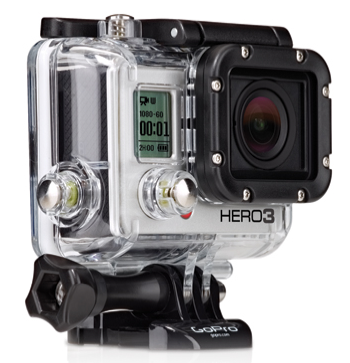 A bit smaller then the original GoPro Hero and Hero2, the Hero3 continues to push the bar with 4K resolution and increased slow motion resolution. The 4K video however is only at 12 fps so it's still got a long way to go before being something most will shoot in, but the first step has been taken. The camera continues to use its two-button interface which can be frustrating at times, but the lightweight body and waterproof box will allow you to mount it to just about anything. Anyone with a pulse that wants to join the iPhone revolution. Technology-savvy families, app-obsessed photographers and outdoor enthusiasts who know the value of packing light. You can call 911 when you get lost. The eight megapixel camera is incredibly sharp and the shutter speed is not ungodly slow. A new panorama mode automatically stitches together 180-degree panoramas and you can capture them in one take. Third party applications provide a range of features and social-networking opportunities to show off your mountaineering skills before your buddy with the DSLR can. 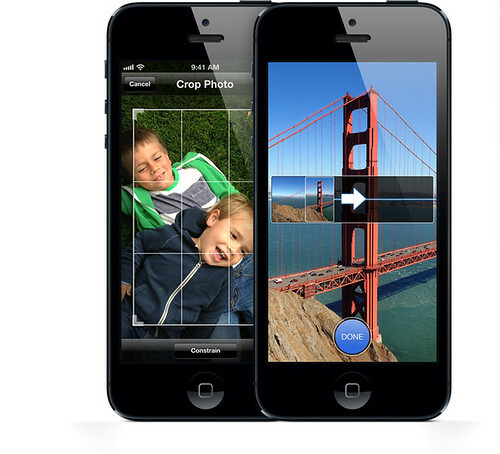 Apple continues to raise the bar with the iPhone 5, eliminating the need for a standalone camera in most situations. The phone's retina display is more than qualified when it comes to editing images and the phone's fast processor will allow users to quickly crop, edit and share their images across social networks. The phone also has access to thousands of photography apps that enhance, post and share photos and two of our favorites are Best Camera and Instagram. One major drawback, however, is outside of a case, the phone is not very rugged, so make sure to ante up and spend a few dollars on a monster rubber case that protects it from sharp rocks, endos over the mountain bike and toddlers' mischievous hands.